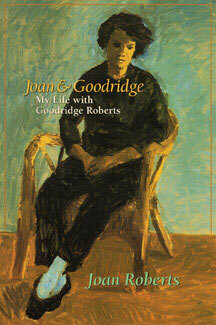 When the author met Goodridge Roberts [1904-1974], he was 48 years old and she was thirty. Roberts, part of a celebrated Canadian literary family, was earning recognition as an important Canadian artist. In this heartfelt memoir Joan Roberts describes in a forthright way how they came together and the realities of her life as wife and partner to a man committed to his art, while she practiced her own career as a social worker-at the time a fledgling profession. She describes their life in the intellectual circles of Montreal in the forties and fifties among friends who were artists, journalists, writers, social workers and academics. She discusses her husband's long and difficult struggle with depression at a time when such things were not openly acknowledged. Roberts also provides fascinating insights and reflections on the long- term relationship between the artist and the Dominion Gallery, and its tumultuous rupture.Includes 24 b&w archival photographs and 8 full-colour reproductions of seldom-seen Goodridge Roberts paintings from the author's private collection. His paintings are in public and private collections across Canada. In 1952 Roberts' work was chosen, together with that of David Milne, Emily Carr, and Alfred Pellan, for Canada's first exhibition at the Venice Biennale. Joan Roberts is a former social worker. She lives in Montreal, Quebec.